Want to watch the video that you have stored on your PC or Mac through iPhone iPad? You must first sync it to iPhone. But the process of syncing video to iPhone is so time-consuming and completed. To watch video on iPhone should not so bothering. Just find a free iPhone App that can let you watch the PC or Mac downloaded video on your iPhone without sync. Here I will recommend you for the newly-released free video streaming App - Air Playit will help you directly stream video audio for free to iPhone via local and remote WiFi, 3G/4G network without sync. What's the Free Video Streaming App? 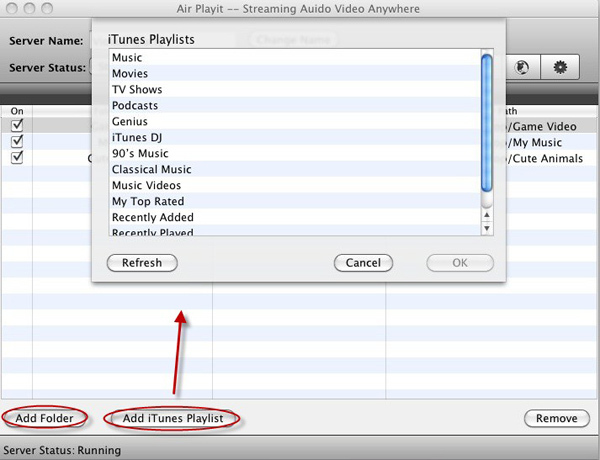 Generally speaking, Air Playit acts as a personal video audio cloud. It contains two parts: the Server and the App Client. Built in 320 different video audio codecs in the Server and the App client, this free video streaming app enables you stream all videos to iPhone iPad so that you can watch them anywhere on the air. 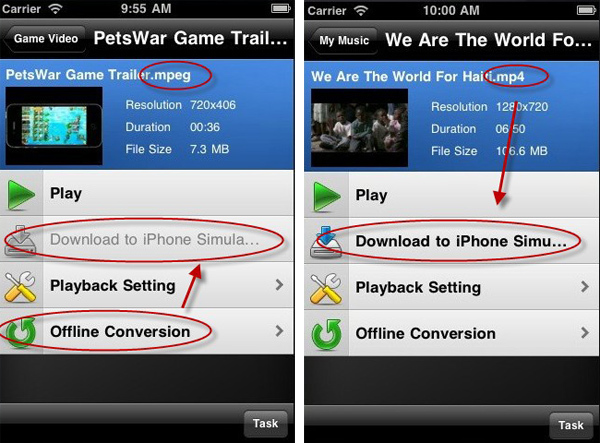 How to Free Stream Video to iPhone iPad? 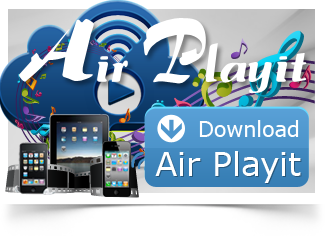 Step 1: Download Air Playit server for free. It is suitable for all PC and Mac OS X users. On the interface of this server, you can import videos from folders on your PC/Mac or from the iTunes Playlist. And then stream to iPhone. Also, you are enabled to make a video conversion task, so that you can directly download video that Apple devices cannot see to your iPhone iPad. Step 2: Install the App Client to your iPhone iPad. Air Playit enables you streaming video free over 3G and WiFi connections. Run this free App, it will automatically find the server by Bonjour Service. Or you can add the server IP address and Port manually. Step 3: Play the video on your iPhone. If you want to watch the video without streaming via WiFi, 3G/4G network, you can download it to iPhone. When the video format is not supported by Apple devices, like MPEG, WMV, FLV, you should do the "Offline Conversion" task first. As a free video streaming App, Air Playit wins more and more iPhone iPad fans' favor. The report shows that in iTunes App Store, it is download more than 100 thousands within one day. Highly recommend to save this free App.